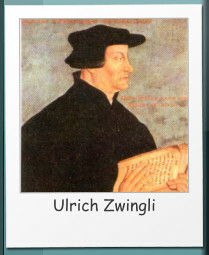 Ulrich Zwingli (January 1, 1484 – October 11, 1531) was born in Wildhaus, Switzerland. Although not as well-known as some other Reformers of his day, like Calvin and Luther, he nonetheless began a large Reformation movement that resulted in the demise of Catholicism in Switzerland. Zwingli’s beliefs were simple and straightforward: the Bible is truth; anything not in the Bible is not truth. It was the simplicity of this message that garnered him great public support from his people in Switzerland; and eventually outrage and war from Roman officials. In 1506 he was ordained into the priesthood in Glarus, where he began studying Erasmus. Erasmus’ writings were part of what is to be credited with Zwingli’s attention beginning to turn toward the reformation. In 1515, he moved to Einsiedeln, where he saw the evil inherent in certain practices from Rome. Zwingli began preaching against and condemning them, several years before Luther did so. 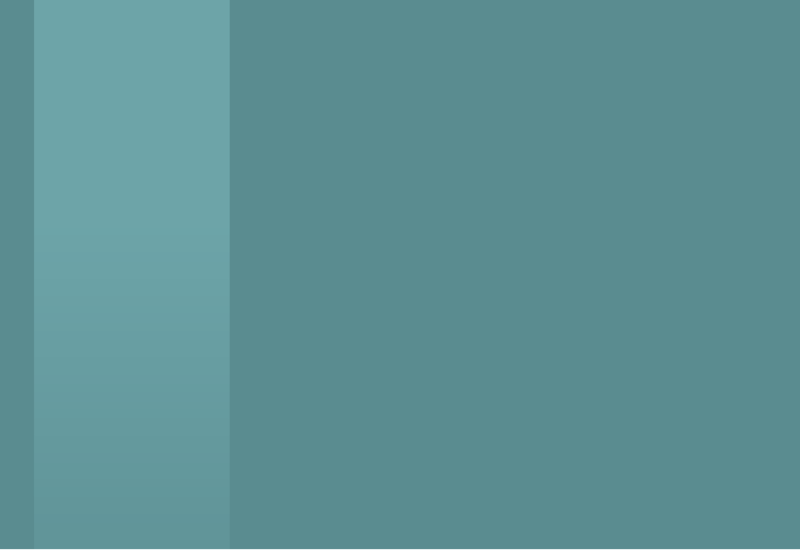 He also strongly opposed the mercenary service, a practice that seemed to make the Roman church rich. 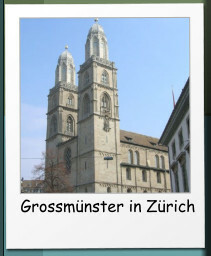 Zwingli’s reform teachings became quite popular and in January 1519, he was appointed priest at Grossmünster in Zürich. 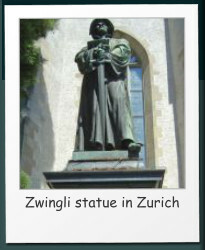 Zwingli was educated at the University of Vienna, Berne and the University of Basel. He studied under some of the greatest Humanists of Switzerland. He was highly educated in the classical studies of poetry, philosophy, music, astronomy, physics and the ancient classics, acquiring his B.A. 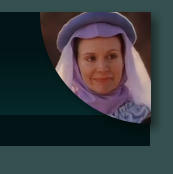 in 1504 and M.A. in 1506 at the University of Basel. It was during his total immersion in humanism at university that Zwingli met men who would plant seeds of reformation in his mind. Shortly after the second Zürich disputation, many became convinced that Zwingli was making too many concessions to the Zürich council. They rejected the role of civil government and demanded the immediate establishment of a congregation of the faithful. In August 1524, the council insisted on the obligation to baptise all newborn infants. In January 1525, a public debate was held and the council decided in favour of Zwingli. Anyone refusing to have their children baptised was required to leave Zürich. The radicals ignored these measures and on they met at the house of the mother of another radical leader. Grebel and a third leader, George Blaurock, performed the first recorded Anabaptist adult baptism. In February, the council repeated the requirement on the baptism of all babies and some who failed to comply were arrested and fined. Later, Grebel, Manz, and Blaurock again defended their cause before Zwingli and other reformers. There was no serious exchange of views as each side would not move from their positions and the debates degenerated into an uproar. The Zürich council decided that no compromise was possible. In 1526 it released the notorious mandate that no one shall rebaptise another under the penalty of death. Although Zwingli, technically, had nothing to do with the mandate, there is no indication that he disapproved. Felix Manz, who had sworn to leave Zürich and not to baptise any more, had deliberately returned and continued the practice. 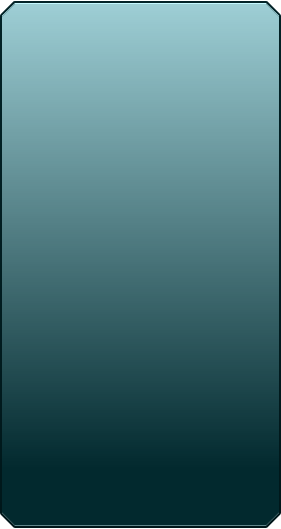 After he was arrested and tried, he was executed by being drowned. He was the first Anabaptist martyr; three more were to follow, after which all others either fled or were expelled from Zürich. Although hugely popular with the Swiss, the officials in Rome had great animosity toward Zwingli and the Protestant movement in Switzerland. In 1529, they began a wide campaign to end Protestantism in Switzerland. Their efforts began with an attempt to bring forth a false sense of security by suing the Swiss for “peace.” What in fact the Roman Catholic Church did was to buy themselves time to strengthen their troops for battle against the Swiss, as Zwingli suspected and warned against all along. In 1531, the Roman Catholic Church declared war against the Protestant Swiss in a sudden surprise attack. Zwingli joined the Swiss troops as chaplain. The Swiss lost decisively and Zwingli was killed at the battle of Kappel, on October 11, 1531.